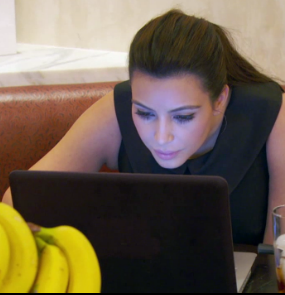 When we left off, Kim had hired Jake to spy on Scott and he supposedly had some bombshell news for her. Well, that new turned out to be simply pictures of Scott getting wasted. Like we haven't seen that before! Kim was so excited to dish the "dirt" on Scott, but the joke was on her because somehow, (I suspect Khloé) Kourtney knew before she even came in the house. 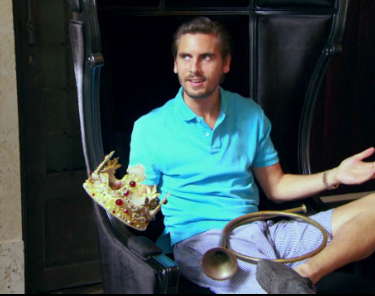 Kourt was so pissed that Kim got tossed out of the house, Scott Disick style! OK. I've tried to go along with it, but I just can't. It's abundantly clear now that the Kardashians and E! are just making up episodes to keep ratings. This week, we entered some kind of bizarre alternate Kardashian universe where Kim gets a blood facial(aka vampire facial) and rides along with the coppers. Is this some kind of spin off? I'm confused..